On November 9, 1965, one of the biggest electrical power failures in history plunged much of the U.S. East Coast and Ontario, Canada, into darkness for more than 10 hours. 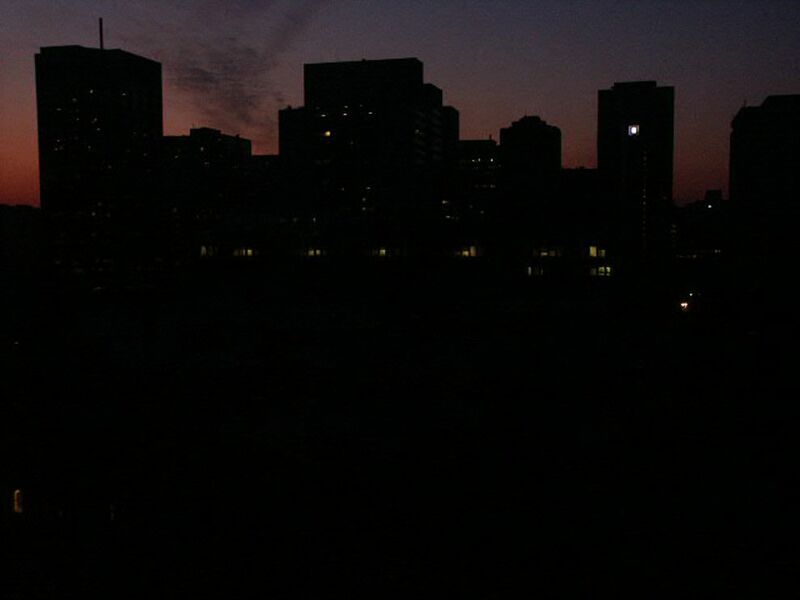 The Great Northeast Blackout of 1965 left millions of consumers in New England and the Canadian province of Ontario without electricity for as long as 13 hours. Photograph by Camerafiend, courtesy Wikimedia. This file is licensed under the Creative Commons Attribution-Share Alike 3.0 Unported license. On November 9, 1965, more than 30 million people in the United States and Canada were plunged into darkness in one of the biggest electrical power failures in history. The Great Northeast Blackout was caused by a misconfigured power line at a hydroelectric power station at Niagara Falls, Ontario, Canada. Neighboring power lines were overloaded and quickly shut down. The U.S. and Canada share the same power grid, so the blackout impacted people and businesses throughout the U.S. states of New York, Massachusetts, Connecticut, Rhode Island, Vermont, New Hampshire, and New Jersey, as well as Ontario. The Great Northeast Blackout was a costly inconvenience. The blackout began just after 5 p.m.—the start of evening “rush hour,” when people generally leave work. More than 800,000 people were stuck in New York City’s subway system and had to walk out. Airplanes circled the region, unable to secure landings at an airport. Police and national guard units were called in to prevent looting. (There were actually very few incidents of theft.) The New York Times, the largest newspaper in the country, was forced to print a small, 10-page paper at a New Jersey facility unaffected by the blackout—but was the only New York newspaper to appear the next morning. expensive or having a lot of value. energy made available by a flow of electrical charge, through a conductor. Electrical energy is measured in Joules. to influence or have an effect on something. to design or adapt something incorrectly. network of cables or other devices through which electricity is delivered to consumers. Also called an electrical grid. time of the day when many people are in transit. underground railway; a popular form of public transportation in large urban areas.